We asked Dave Mattson, CEO of Sandler Training, one of the most frequently asked questions among sales professionals. Here's what he had to say. FAQ: How do I generate a referral using LinkedIn? Leverage the strongest initial connection, the one made through an introduction and endorsement. Hey there, Bill, I happened to notice on your LinkedIn profile that you’re connected to David Smith over at Acme Corporation. How well do you know him? Would you be willing to introduce me? Sure. I know David very well. He and I went to college together. I’d be happy to introduce you. Bill, I got your message. I really appreciate that. My experience is that an email introduction can work very well for everybody involved. I have attached a template for your review. Please feel free to edit and change it in any way you want. Hey, Bill, thanks so much for the introduction. Dave, I’m really looking forward to speaking with you. I’m out of the office on Monday, Tuesday, and Wednesday of this week, but I will be back in on Thursday. I will reach out to you by phone then. What’s the best number to use to reach you? I’ve just set up a phone appointment! Remember that the whole principle that makes networking on LinkedIn work is having some kind of actual person-to-person communication with your first- degree contacts! If I’ve never had any interaction at all with you before I reach out to you about Dave Smith, the technique I’ve just outlined won’t work. Don’t try to extend this kind of appeal to someone with whom you really have no contact! Of course, if you know Bill well, you can always pick up the phone and call for the introduction. That’s up to you. 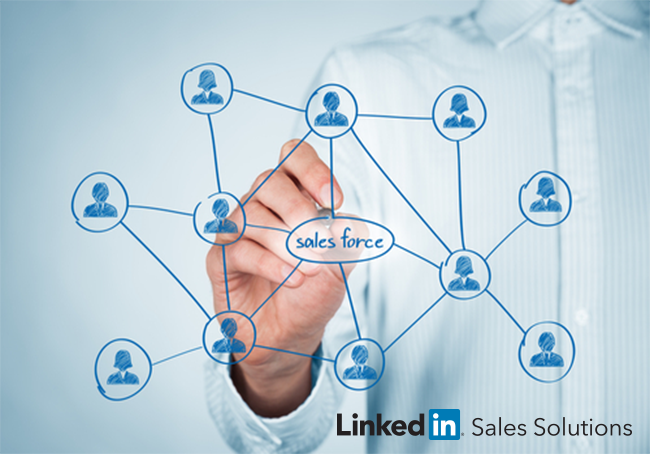 In a nutshell: Use LinkedIn to generate referrals in a way that leaves everyone feeling OK.
To learn more about how to leverage your network on LinkedIn, download our eBook "LinkedIn the Sandler Way: 25 Secrets that Show Salespeople the World’s Largest Professional Network".